Heat oven to 375°F. In medium bowl, stir together 1 1/2 cups chopped frozen strawberries, 1/4 cup sugar, 1 tablespoon lemon juice and 2 teaspoons grated lemon peel. Let stand 10 minutes. Meanwhile, spray bottom only of 9 1/2-inch glass pie plate with cooking spray. Shape dough from 1 can (8 oz) Pillsbury™ refrigerated crescent dinner rolls into crescent rolls as directed on can. Cut each roll crosswise in half; arrange in circular pattern in pie plate. In another medium bowl, beat 1 package (8 oz) cream cheese with electric mixer on medium-high speed until softened. Add 1 1/2 teaspoons vanilla; beat again. Add 2 eggs; beat until creamy. 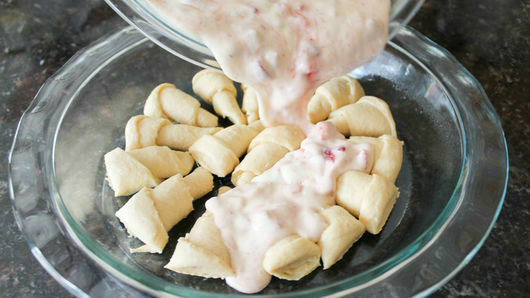 Fold strawberry mixture into cream cheese mixture. Pour over crescent rolls in pie plate. Bake 30 minutes or until light golden brown. 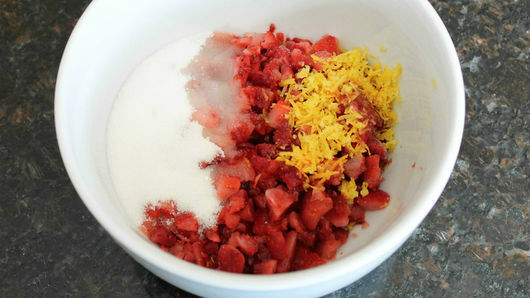 For a stronger lemon flavor, add 2 teaspoons grated lemon peel to the strawberries. 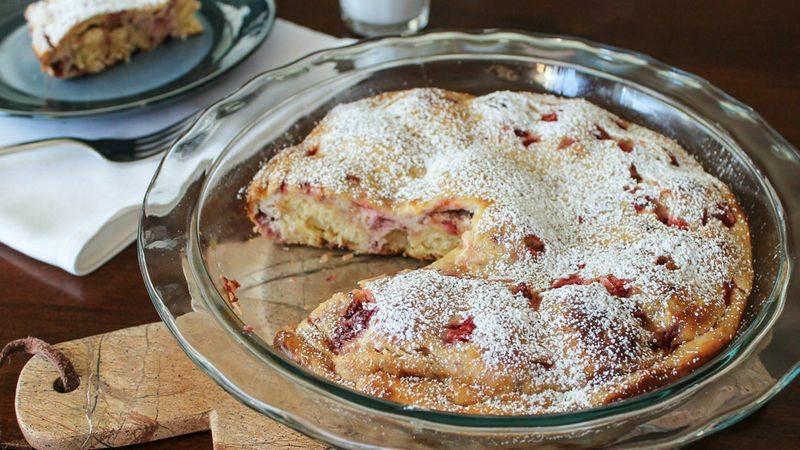 If desired, cool 10 to 15 minutes then add powdered sugar as a garnish.